Looking for private in-home or in-studio Classical Voice lessons? Our Frisco teachers are ready to get you started. Find your teacher today! Check out some of our most popular teachers near Frisco, TX including Dallas, Fort Worth, Plano, Irving and Arlington. Instruction tailored to the student on all levels. Voice building, skill development, technique and expression. Best for students ages 6th grade and older. Maureen has been teaching private voice and piano lessons since 2009, and currently runs her own studio, as well as traveling to students' homes to teach lessons. She teaches anyone with an interest and willingness to learn, regardless of experience level. Maureen received her Master of Music from the University of Maryland 2017 with an emphasis in Opera Performance. Her teaching style is tailored for each individual student, in that what works for one student won't necessarily work for the next (particularly in regards to singers), and strives towards finding the optimal method that encourages and helps students to improve. She firmly believes that anyone who is willing to dedicate the time and effort to learning a new instrument is capable of doing so, and looks forward to helping new students achieve their goals. Best instructor ever in the history of mankind and into the far reaches of the galaxy. She is amazing I’ve been a student of hers for a year and I have learned so much from her! I’m sad to be leaving her but she has taught me a lot. I would definitely recommend her. Maureen helped my daughter progress with the first lesson. We specified that she needed help with sight reading and the lesson consisted of exactly that. She was very thorough--kept the lesson moving but slowed down to my daughter's speed when necessary. Great first lesson. I have experience teaching choir and private voice lessons from students ages 4 to 78 years old. I am an opera singer who has experience teaching multiple genres including pop, rock, jazz and classical. I create monthly plans for my students and teach them techniques to feel in control of their singing and confident. I am an opera singer and pianist who studied at the Aaron Copland School of Music in NYC and I recently moved to Texas to further my studies in music education. I started teaching piano and voice privately in New York City in 2012 and I continue to in North Texas. I have experience teaching ages 4 to 80 in both voice and piano. I started training in both singing and piano in 2001 and as result have performed from Carnegie Hall to the Vatican. I was looking for someone who could help me fine tune my existing skills (20 yrs), learn new methods, and build my confidence back up. Natasha has exceeded all my expectations! She is able to listen and advise on any style (classical/pop/rock/musical) I've brought to lessons with her wide range of techniques. She teaches appropriately for my experienced skill level and tailors each session to my needs. We have tons of fun while putting in good work. She makes room for my discovery and has amazing tips for even the most challenging aspects of pieces. I look forward to class every week so I can collaborate with Natasha on making my work the best it can be! We have had 3 lessons with Natasha, and so far it's been a wonderful experience for my daughter. I've just had my first piano lesson with Natasha! Natasha is very knowledgable and yet patient in getting me started in this great instrument. I really appreciate her time and contribution to our community! Want to sing your favorite Broadway tunes? Learn to hit that high note thats giving you trouble? Just want to feel more comfortable speaking and singing in public? My approach to voice begins with the basics and is deeply rooted in ear training and music theory. I am classically trained and I work as a musical director in musical theatre. I do audition coaching and actor training as well. In my singing career, I have benefited tremendously from instruction by teachers who perform professionally. I want to help my students develop their vocal ability by meeting them where they are and applying the lessons I have learned from practical experience as well as from what I have been taught. My goal is to equip students with the skills so that they can develop a reliable technique that works under all situations. In 2013, I began singing professionally in principal roles with major opera companies (with regular appearances at Dallas Opera) and as a soloist with orchestras across the United States. I was an Adler Fellow with San Francisco Opera from 2011-2012. I received my Artist Diploma in Opera Performance from the Academy of Vocal Arts, my M.M. in Voice Performance from Boston University and my B.M. in Voice Performance from Westminster Choir College. In 2011, I began singing professionally in principal roles with major opera companies and as a soloist with orchestras across the United States. I have sung on the stages of the Dallas Opera, Metropolitan Opera, Los Angeles Philharmonic, Opera Colorado, San Diego Opera and Florida Grand Opera to name a few. I am one of the very few fortunate enough singers who has been able to make my living for 8 years solely on my chosen profession. I have incorporated artistry, language, and dramatic intention into my preparation whenever I perform professionally. I have extensive vocal study with William Stone, Penelope Bitzas, and Elem Eley. I continue to study and improve my languages through vocal coachings and lessons. I am committed to life long learning and development of my vocal ability and sharing that with my students. I received my Bachelors of Music in Voice Performance from Westminster Choir College in Princeton, NJ. My Masters in Music in Voice Performance from Boston University in Boston, MA. My Artist Diploma in Opera Performance from the Academy of Vocal Arts in Philadelphia, PA. I was also an Adler Fellow with San Francisco Opera where I sang 59 mainstage performances in 2 fall seasons. I am a professional vocalist who has been performing for many years. I have taught voice lessons for many years, and am a member of NATS. I have studied classically at UNT in Denton, Texas, and at New England Conservatory in Boston, Massachusetts. In addition, I have performed n rock, pop, R & B, and jazz groups all over the country. Many of my students have also pursued successful singing careers. Every voice is unique, and I include in lessons helping students to learn proper breathing techniques, vocal exercises that will enhance their voice, and work on material of all styles in order to improve their voices, and performance. I am a professional vocalist and pianist. I perform and do studio work all over the country. I have studied music at North Texas State University (UNT), and at New England Conservatory in Boston. I am classically trained; however; my career has been made singing and playing comtemporary popular music. I also have professional theatre experience as well. I have had the pleasure of teaching many students who have gone on to professional music careers. I am a very caring teacher, and will do my best to help a student become the best singer or player they can become. I am able to teach all styles of music. I am a very fun teacher; yet challenging teacher. I am encouraging, and I have years of training to share. on Vehicle's CD....that recording won the coveted Artist In Music Award in Los Angeles. I have had a CORI Check as required by law to work with children. I am also a mother myself as well. I tailor lessons based on the level, talent, skills, and areas needing work in the student's musical development process.I treat students as individuals...similar to a tutor or coaching relationship. Many students are naturally talented, and simply need more direction, and perhaps, technique, and basic music theory knowledge. 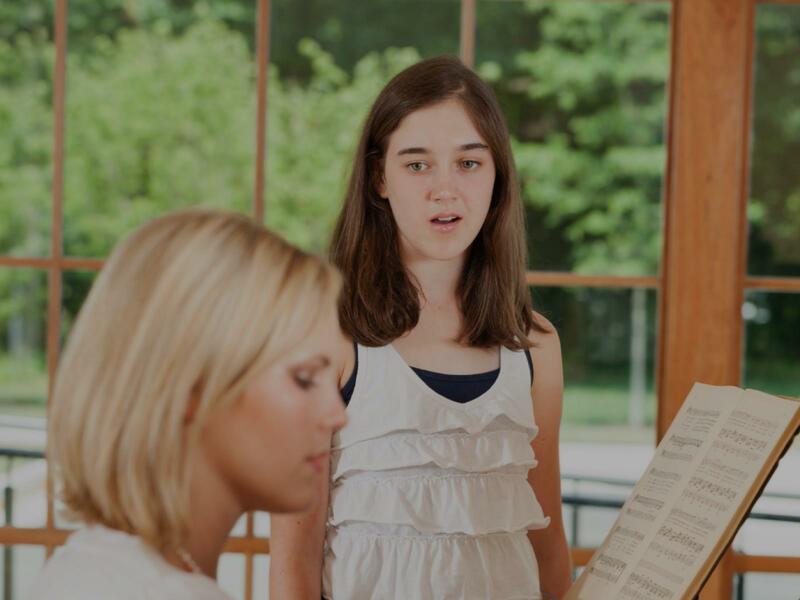 In vocal study, proper breathing, vocal exercisers to improve singing and flexibility, and strength are part of lessons. In addition; I assist in choosing material, prepping for performances or auditions, and preserving and enhancing the natural voice of the student. As a piano teacher; I can work with students at all levels as well. I am very good with beginners. I also have more to offer more advanced students in a concentration on technique, and add a music theory component to lessons as it helps them to become a better musician and instrumentalist. Thank you for your time! Jamie Leigh was amazing, she put me right at ease and immediately began working with me to determine how to showcase my strengths and how to improve in areas of weakness. She is a talented performer and teacher, as well as patient and personable, I highly recommend her! I am a senior citizen who never had played piano before. Jamie was very patient with me and tailored lessons to my needs and interests. I made a lot of progress with her encouragement. She has a wonderful personality. Jamie is very skillful at demonstrating vocalization techniques and getting it out of the student. In 4lessons she helped me move my break point and my vocal range by two whole steps. Patient, supportive. Professional singer classicaly trained, I understand the needs for pop and other genres, so I always accomodate my students wherever they feel more comfortable! Originally from Guadalajara, Mexico has studied orchestral conducting under Pedro Bocotan, Leonardo Gasparini, Lynn McLain, Dr Suzanne Pence, Glenn Richter, Carlos Riazuelo and Hector Guzman. He has conducted several orchestras in Mexico, as a guest conductor appearing in various cities throughout the country, conducting Mozart, Mendelssohn, Sibelius, Vivaldi, Mascagni and Beethoven among others. He currently works as the cover conductor for the Plano Symphony Orchestra and Irving Symphony, as well as working as assistant to Maestro Hector Guzman. In the operatic field, he has conducted the operas Elixir of Love by Gaetano Donizetti, Rigoletto by Verdi and Amahl, the Night Visitors by G. C. Menotti and Dido and Aeneas by Henry Purcell. ​As a voice performer, he has sung the roles of Papageno (The Magic Flute), Ramon (La Curandera), King Balthazar (Amahl and the Night Visitors), Rigoletto (Rigoletto by Verdi), Belcore (Elixir of Love), Warrick (Plump Jack), The Phantom (Phantom of the Opera) among others. He has been heard regularly as a recitalist both in Mexico and throughout the US. He currently serves as cover conductor for the Plano Symphony Orchestra, as well as administrator and librarian for the Irving Symphony. Wonderful and encouraging teacher! I felt more confident after first lesson! Mr. Rodriguez is the Best!!!! I started with some warm ups and he explained the process of taking breaths in the correct way when singing and breathing. Thank you so much!! Can't find a teacher in Frisco, TX? "My daughters enjoyed their respective class." Dallas, TX teacher: Laurie D.
reat vocal techniques! I’m excited to see Natasha at my opera and as well recital at SMU. Thank you Natasha!" "The most kidness, sweet and friendly teacher I have ever met. I highly recommend her! She is super professional and her teaching techniques are the best. Also, I encourage all parents to bring their children with her because she is one of the best singing teachers you can find in Texas." the right path to take." s and my confidence to sing has grown greatly."